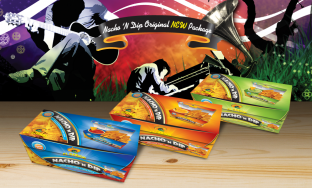 The new packages Nacho N ‘Dip Original are coming to accompany your happiest moments! Nacho N ‘Dip Original, in three delicious flavors you love, Salsa, Cheese, Guacamole, will amaze you and they will accompany with delicious tastes every time! In new modern packages and with bigger quantity of Nacho Chips inside the box! Choose from three unique combinations and enjoy your favorite Nacho N ‘Dip, any time of day and in any occasion!